At the recent MWC (Mobile World Congress), Huawei, A Chinese based mobile Telecom Company unveiled its new Android smartwatch. and the round device stays true the timeless luxury watch design. Though the new Android smartwatch has been unveiled, it is yet to be released. Reports suggest that it will be released somewhere in the middle of this year 2015. It is peculated to arrive months after the April debut of the Apple Watch. Exact pricing and availability will be announced at a later date. The 1.4 in. 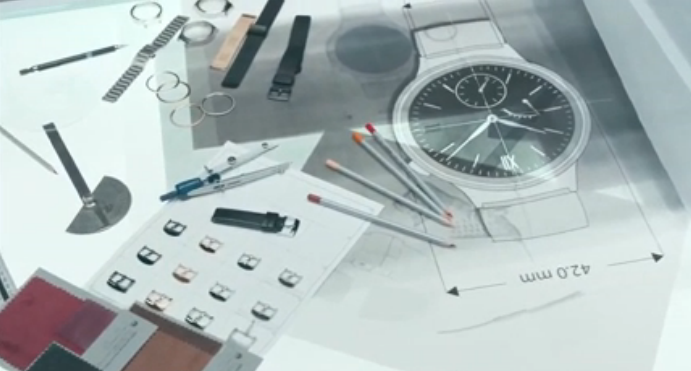 circular Huawei Watch is powered by Android Wear, and has 4GB of storage and 512MB of RAM, The Verge reports. The device will be sold in gold, silver and black, with designs tailored to men and women and several customizable watch faces. Authentic Watches is selling authentic brand name watches, with authentic watches listed with a BIG discount.